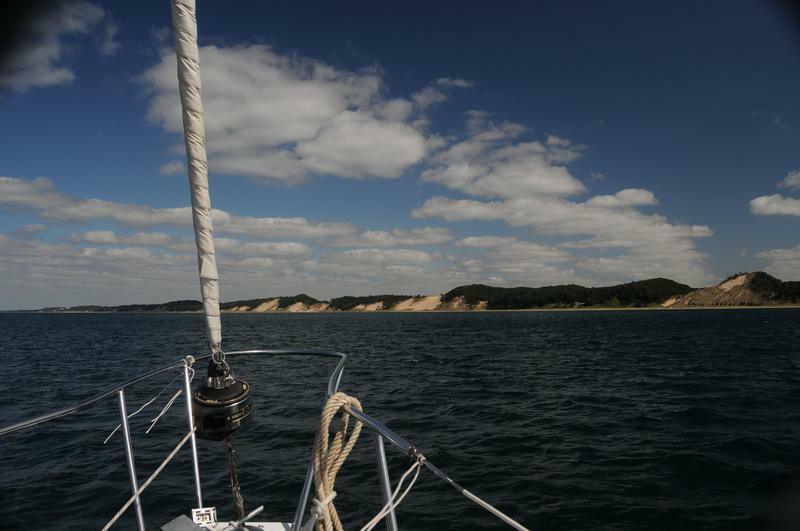 Sailing South Haven | Sail with us for a two hour charter on Lake Michigan. 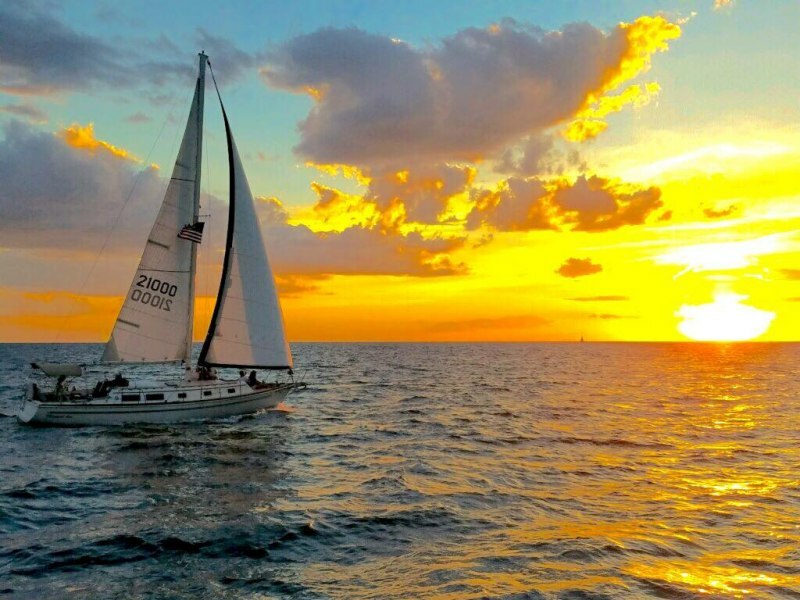 Spend some time in the sun or join us for our popular sunset cruise. For groups up to six people. 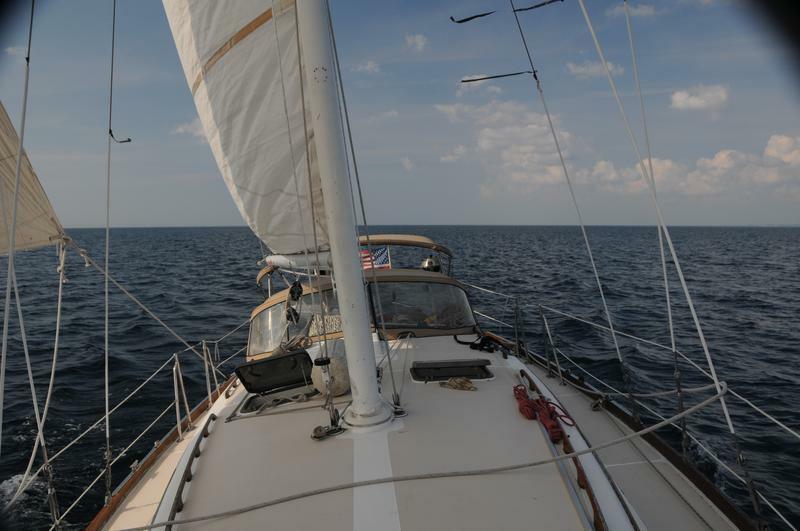 Come aboard the 37 foot Margaret Ann and embark on an unforgettable escape. 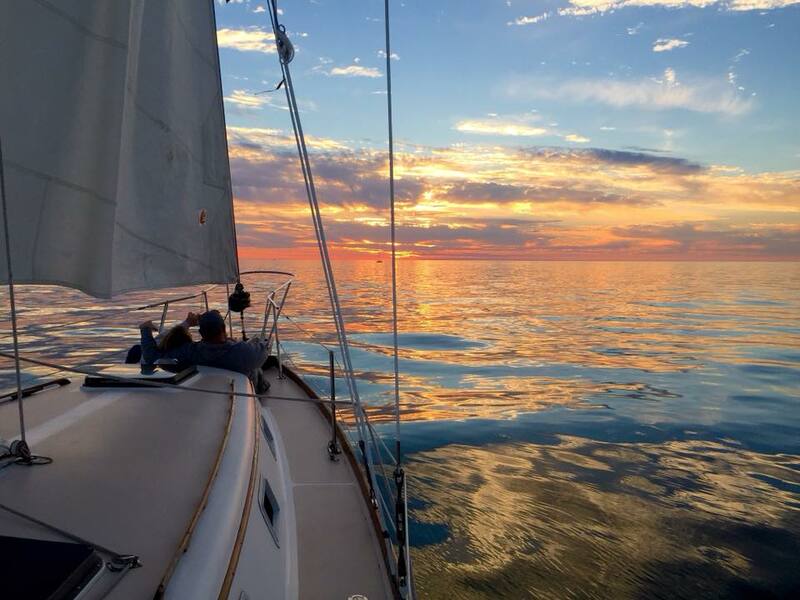 Whether you are a morning person looking for an exciting way to start your day, a sun worshiper working on your tan, or an old fashion romantic who enjoys the company of a glass of wine and the sunset, you will find yourself in a state of bliss out on the water of the great lake. 10% discount on all 10am trips for 2019! Max capacity of 6 passengers. Have a larger group than 6? 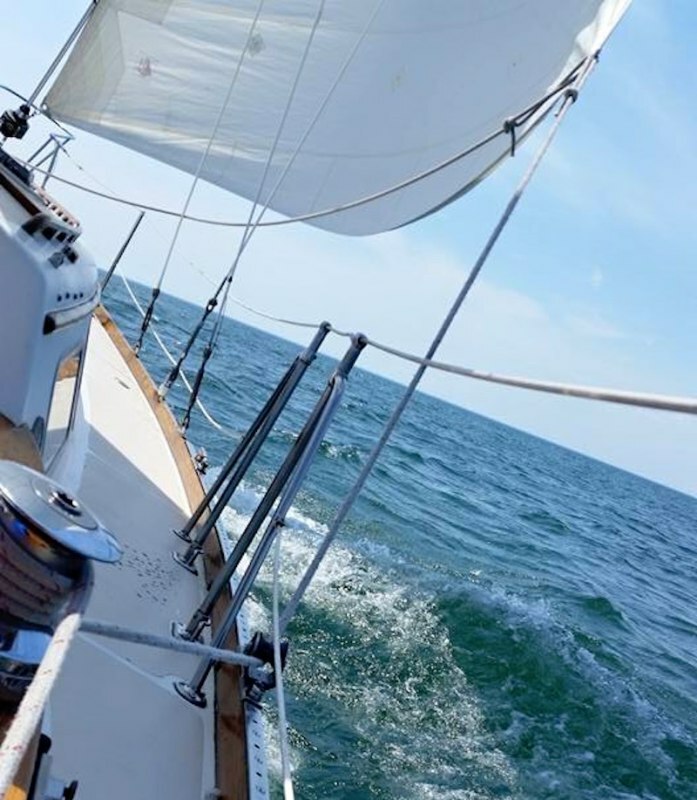 Come sail with us on the Schooner Serenity in Saugatuck. For groups up to 29. 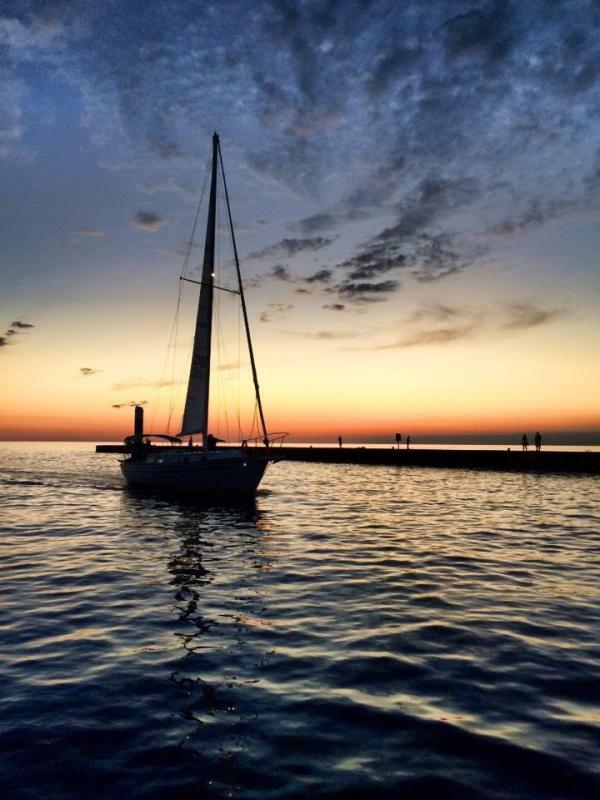 Sailing South Haven is a family owned business located in historic downtown South Haven, Michigan. 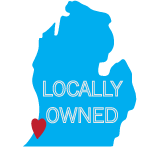 Established in 2010, we have become one of Southwest Michigan’s leading charter businesses. We take pride in offering a high quality, laid back, unpretentious and unique experience to every guest that sails with us. 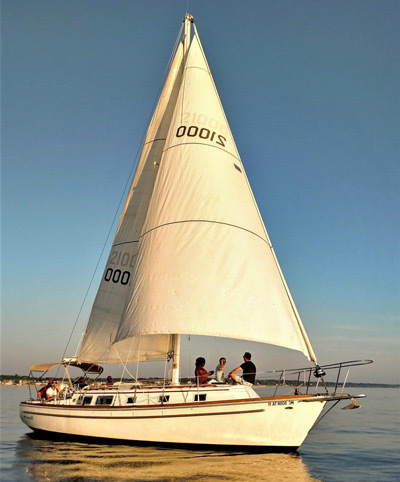 Margaret Ann is a 37 foot blue water cruiser perfect for getting out on the lake, setting the sails, kicking back and enjoying the ambience of being surrounded by water. Built in Florida, Gulfstar yachts are known for their stability, safety and comfort— and are most often spotted island hopping in the Caribbean Islands. Margaret Ann has a fiberglass hull with teak trim and a cabin area down below with cozy port and starboard settees. Small group size. 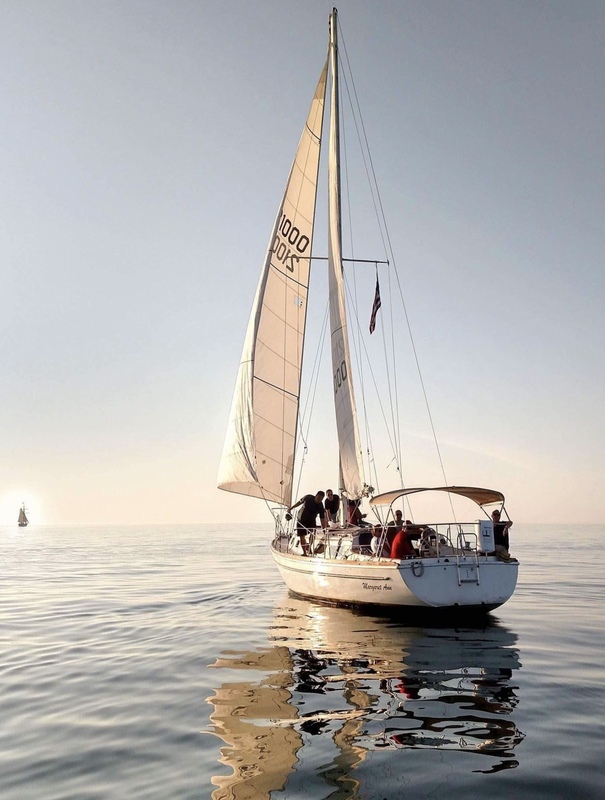 Groups are limited to just six passengers so you’ll have plenty of space to spread out once we set sail. BYOB. 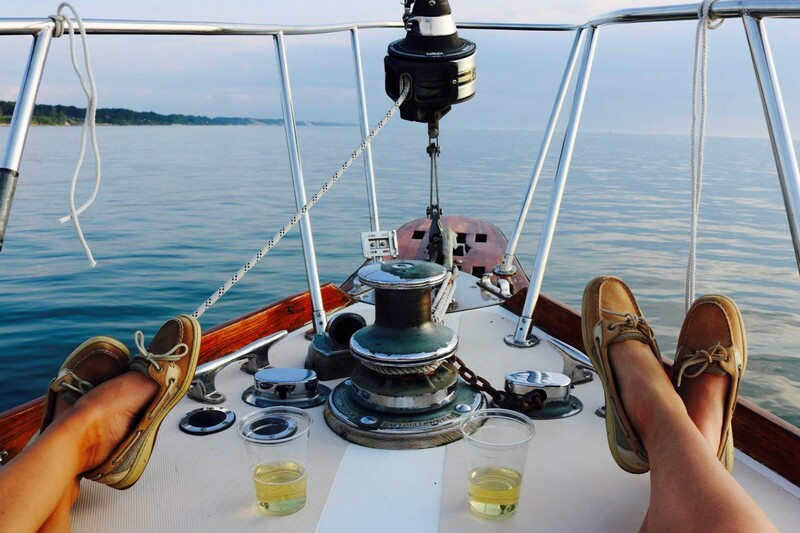 Many of our guests bring a bottle of wine or a 6-pack to enjoy while on the lake. We also have an ice filled cooler on board for you to keep your beverages cold. Comfort and safety. The Margaret Ann is outfitted with all essential safety gear. We are also certified by the United States Coast Guard and do regular inspections to make sure everything is in top shape. Flexibility. 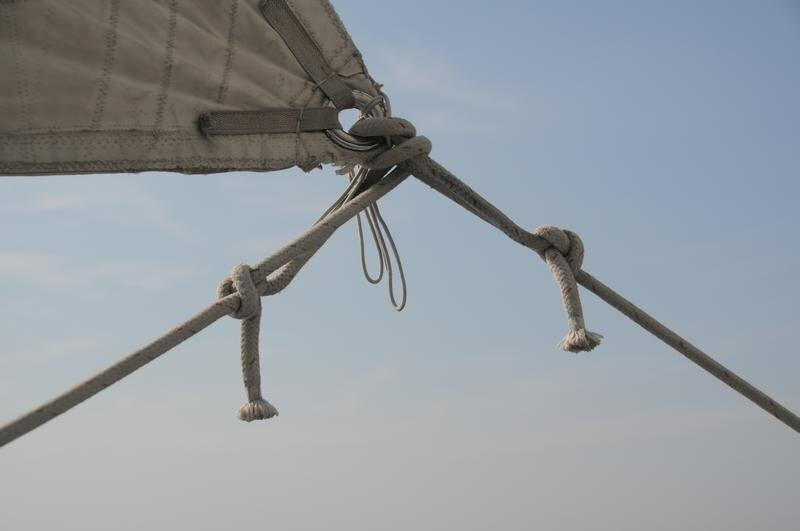 Pitch in and help handle the sails or just kick back, relax and enjoy the scenery. 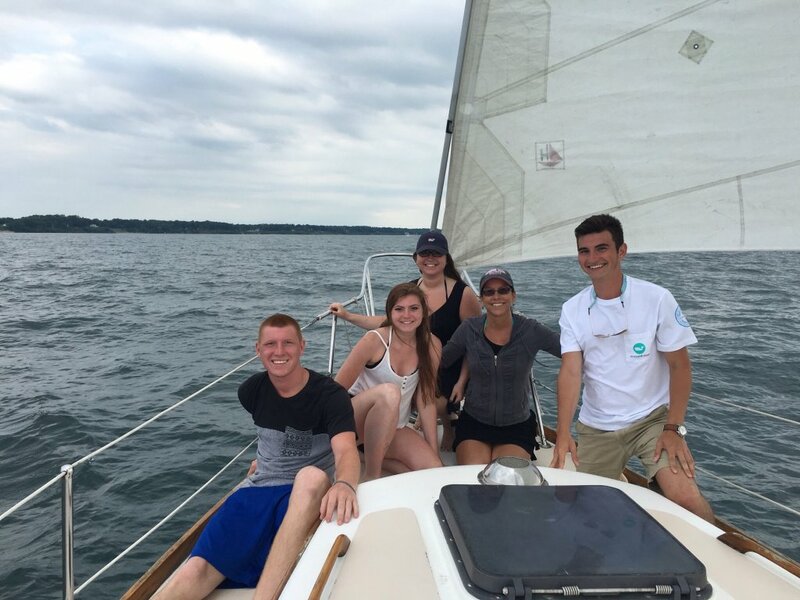 Whether you’re a seasoned pro or a first-timer, our crew will help ensure a memorable experience for your entire group! 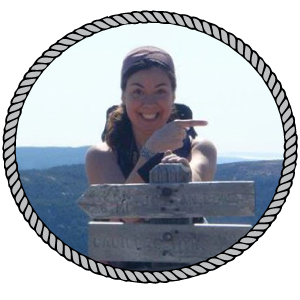 Captain Erin grew up sailing the Great Lakes but really got her sea legs in her twenties while crewing the 171 foot three-masted Schooner Mystic from Mystic, CT. 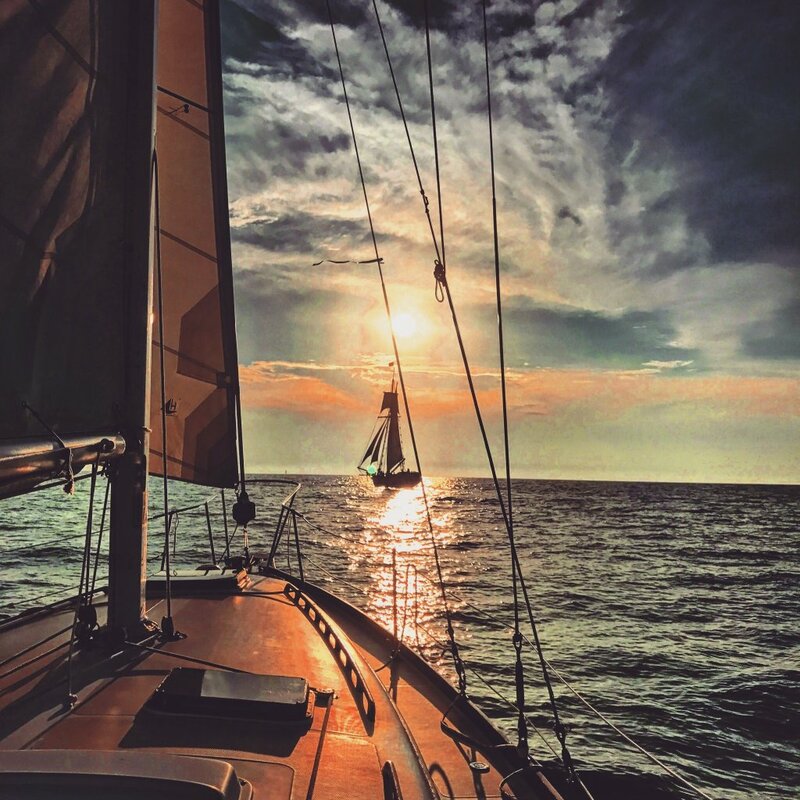 Setting sail on the Atlantic Ocean along the east coast to the Bahamas, she learned the broader aspects of sea life – from helming the ship to rigging the sails and even a little bit of food prep too. 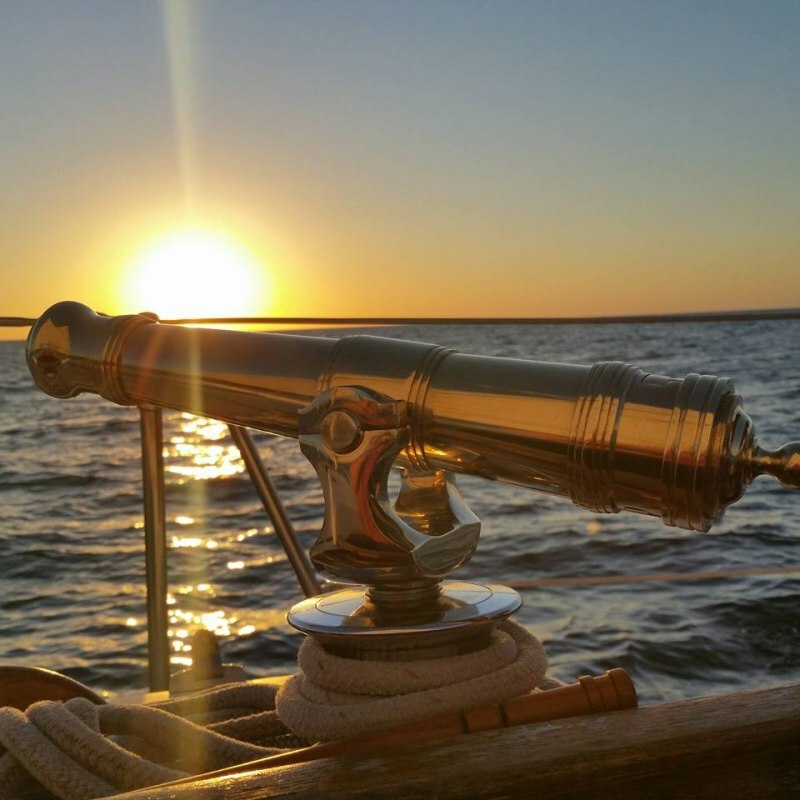 After her love for the sea was solidified, Erin set her sights on finally becoming a Captain. Many classes, inspections, and hours logged at sea later she had her USCG certification in hand. 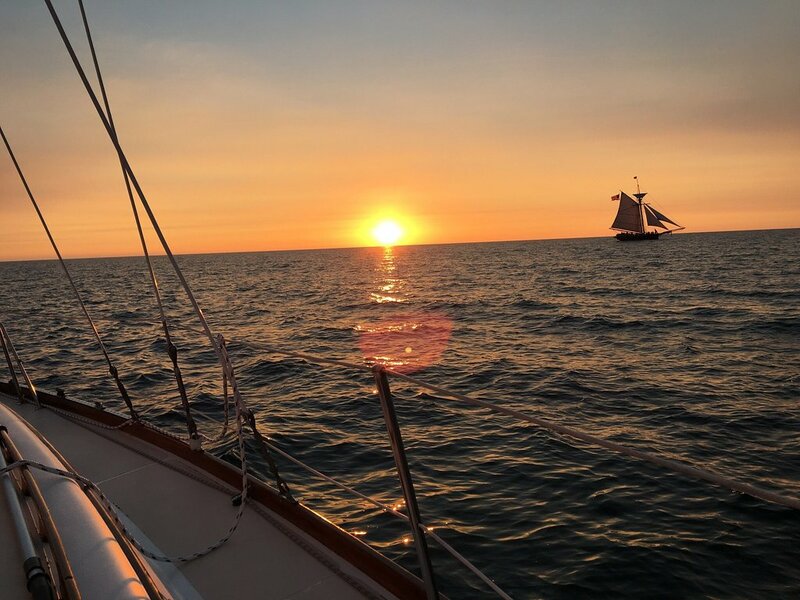 Captain Erin returned to the Great Lakes to share with others her passion of the wind and water by starting Sailing South Haven in 2010. 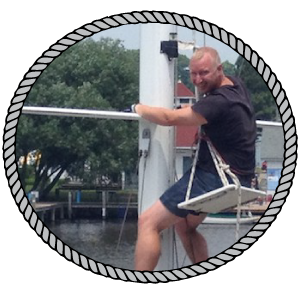 Captain Andy has been sailing the Margaret Ann for 8 years. He’s a world traveler, wine maker and photographer, among many other things. Captain Andy has no shortage of stories to tell and he’s happy to share them. It can be a bit colder out on the water than it is on shore. We recommend bringing a sweater or light jacket with you. And though we do provide light snacks and non-alcoholic drinks, please feel free to bring a bottle of wine and any other food items you will want. Where is the boat dock? You will be looking for Old Harbor Inn waterfront hotel at 515 Williams St. It is at the intersection of Williams and Center street. The dock is located on the lower level of the outdoor shopping area just to the left of the Idler Dockside Bar and Grille. Private Property. Do Not Enter. KWN Boaters Only. You can ignore this sign, open the rope gate, and walk down the 3 stairs to the dock. 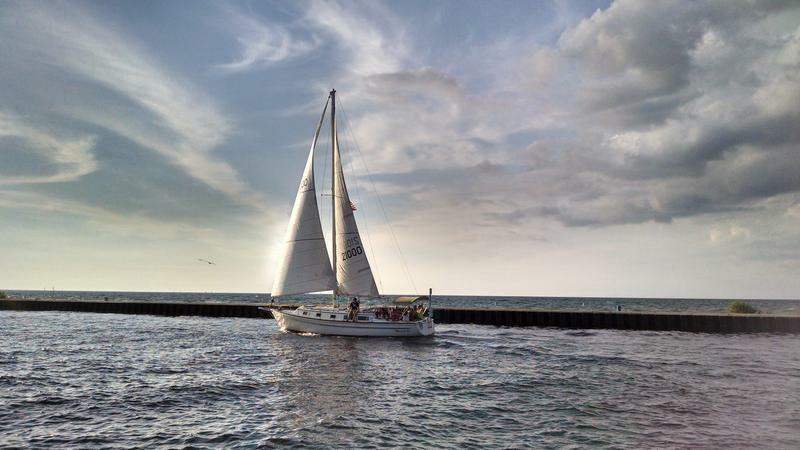 There will be a Sailing South Haven flyer attached to the picnic table in front of the boat. We have a maximum capacity of 6 guests. This is a USCG rule so unfortunately we cannot accommodate larger groups. What happens if the weather is bad on the day of the trip? The Captain will be in touch with you on the day of your trip if the weather is looking too rough to go out. We’ll never go sailing if the forecast is looking like it could be dangerous in any way. You will get a full refund if we cancel the trip for any reason. 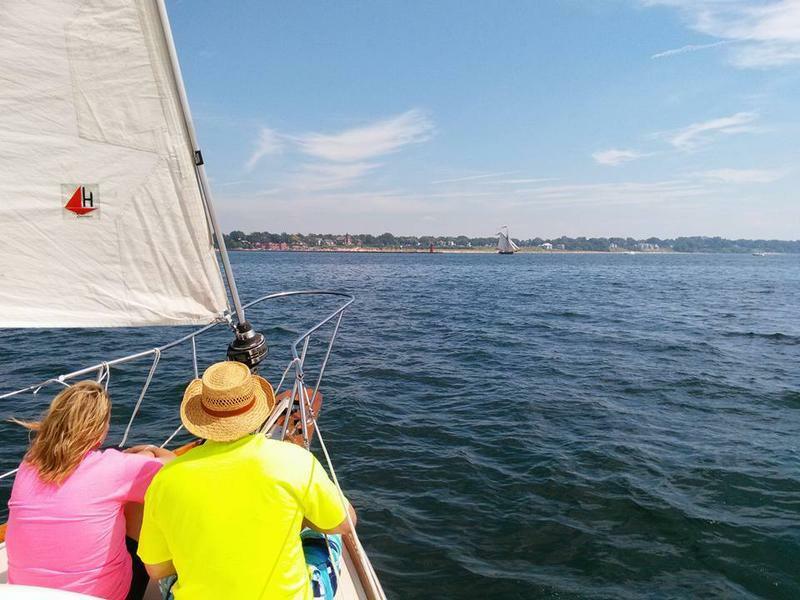 Is my child too young to go sailing? We welcome people of all ages! We have sailed with kids of all ages, though we do require children under the age of 10 to wear a life vest at all times. Can my group bring a bottle of wine to enjoy on the boat? Absolutely! We don’t provide or sell any alcohol but please feel free to bring your own to enjoy while on board. Beer and wine only, please. If we have to cancel the trip due to weather or any other reason your credit card will be FULLY refunded automatically. Can I book just one ticket? Right now our online booking system only allows parties of 2 or more. But if you’d like to go out for a solo sail, just give us a call. Sorry, we don’t sell gift certificates at this time. 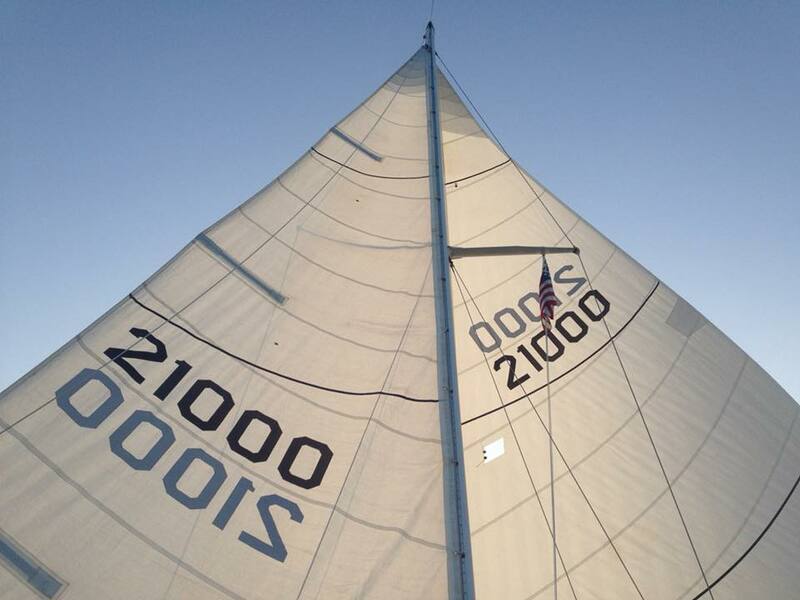 Email us directly at info@sailingsouthhaven.com or use the contact form on this page. We’ll respond as quickly as we can.